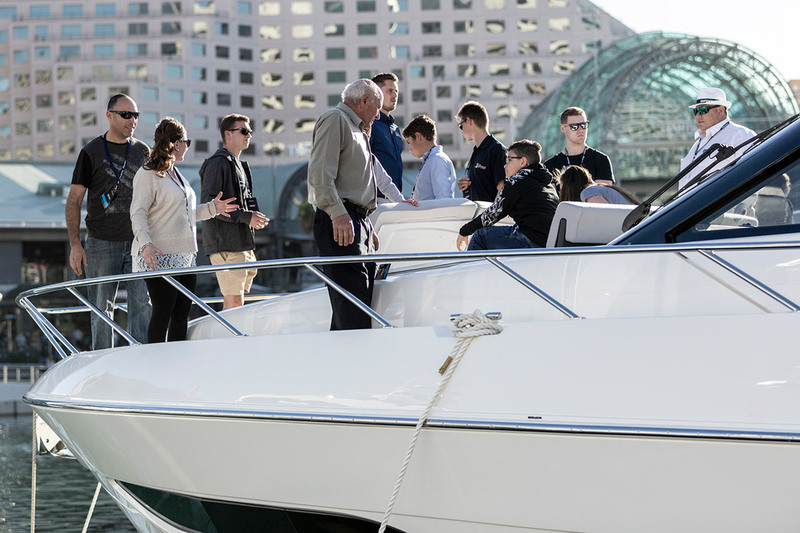 The Sydney International Boat Show is the largest recreational marine event in the southern hemisphere. It first ran in 1968 and since then has played host to over three million visitors who arrive to be entertained, educated, speak to the experts, and to be inspired by this wonderful pastime enjoyed by millions each year. 2018 was no different. On top of the usual attractions, on the morning of the first day of the show, Maritimo released some early detail of one of the most exciting advances in the international sport yacht sector, the new X50 sport yacht. Around 25 Australian and international journalists were treated to the first viewing of the new X50 which is set to premiere in 2019. The X50 and its internationally successful sibling the X60 have re-written the status quo for sport yachts internationally with further breakthroughs in design innovation and technology. 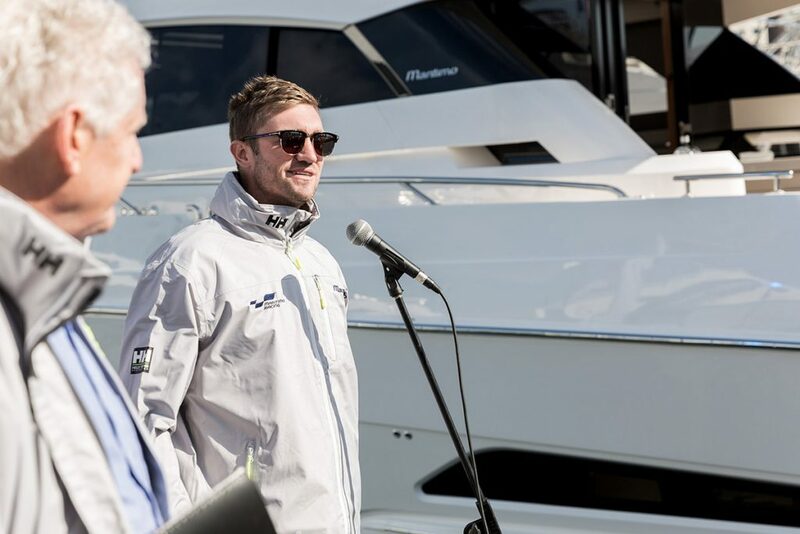 The world premiere of the Maritimo X60, the first model in the revolutionary new X-Series range, at Sanctuary Cove earlier this year has resulted in record sales, aiding the highest sales record of any boat show in Maritimo’s 15-year history. Maritimo is going further than ever in the design analysis of waterflow over the hull. All underwater components have been heavily examined and designed with an obsessive consideration of drag reduction, creating maximum efficiency from the hull profile. For more information on the Maritimo X50 or the X-series range, please contact us.